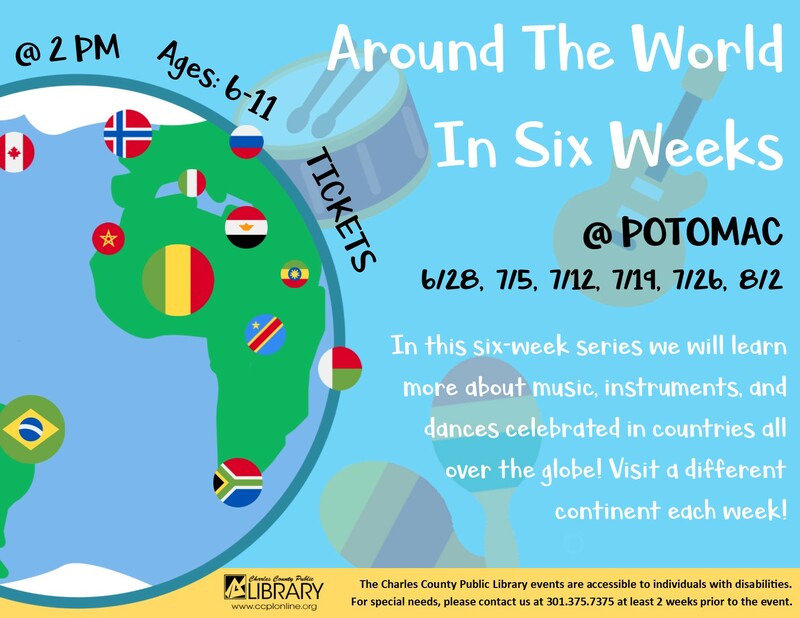 In this six-week series we will learn more about music, instruments, and dances celebrated in countries all over the globe. Visit a different continent each week. ***Ticketed Event*** Summer Reading is a popular time for us. To allow for the best attendance possible, we will be handing out tickets to our most popular events starting 1 hour before programs noted as Ticketed Events. Customers must be present in person to receive a ticket and will be distributed on a first come, first served basis.